The Maxxi adds to the award-winning Savannah range with the introduction of the fold out ends that maximise the living space and the addition of an ensuite into its compact 5m body. 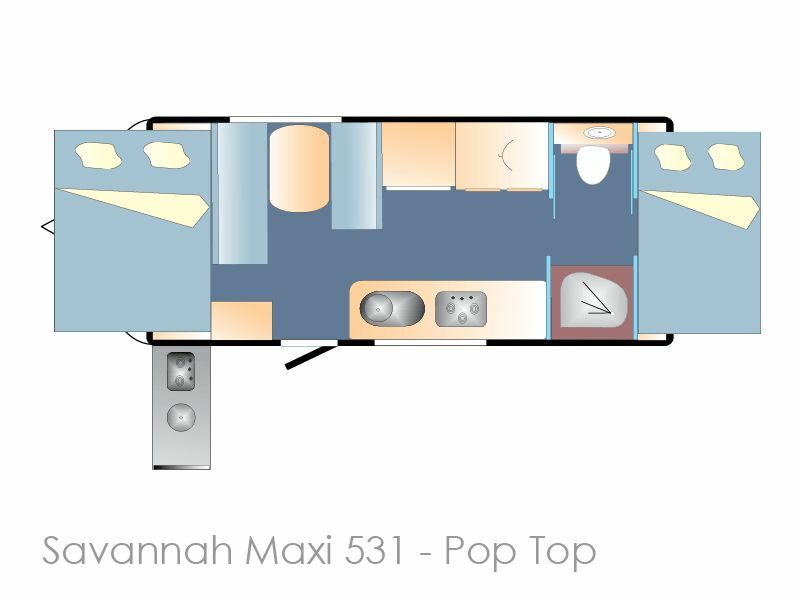 The lay out is smart and spacious with all camping needs taken care of and your comfort is taken care of too, with luxurious inner spring mattresses at either end of the van. 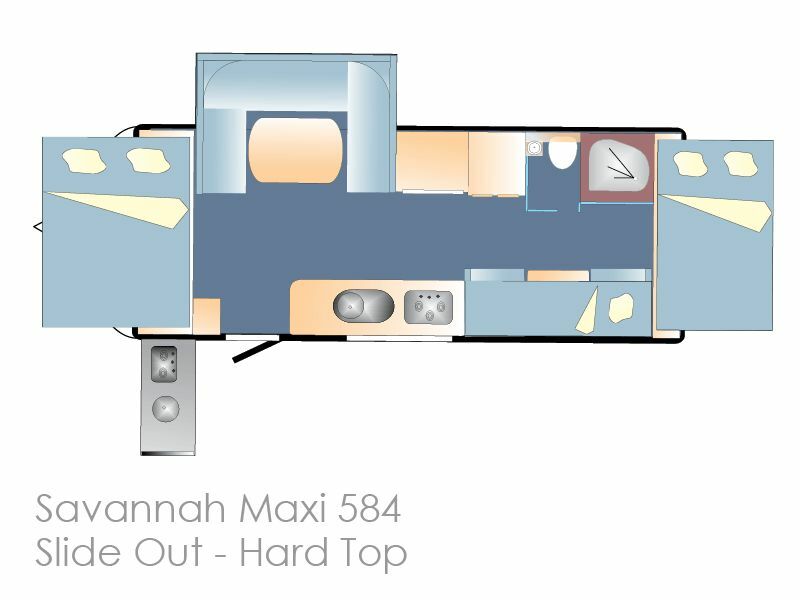 For added strength and durability, the Maxxi is supported by independent coil suspension and a hot-dipped galvanised chassis, specifically designed for Australian conditions. 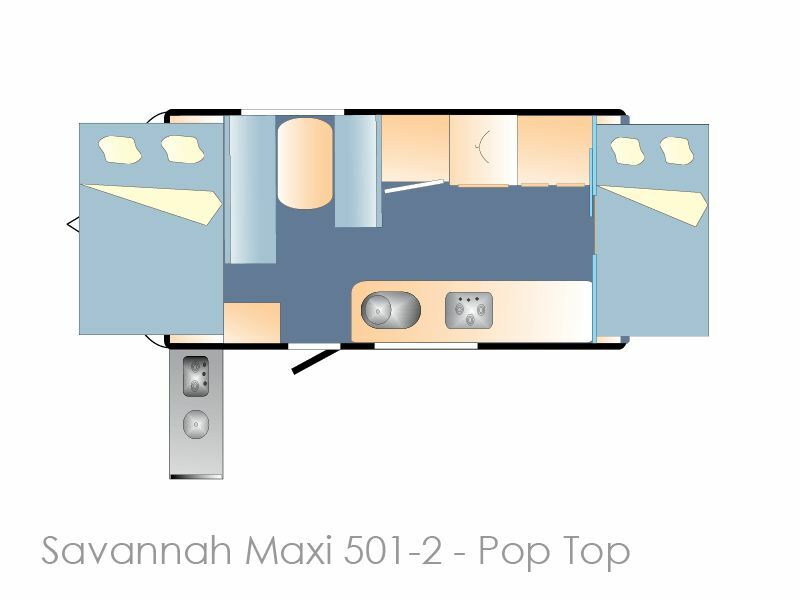 The smooth panel construction provides superior strength without the weight, so you have a lighter vehicle and better fuel economy when travelling on the open road. 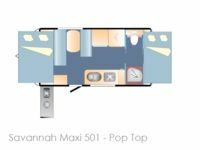 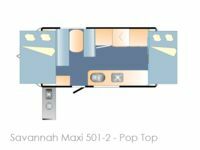 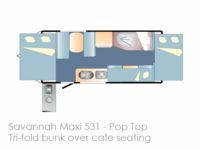 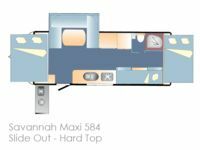 And for when you go off-road, the 80-watt solar panel combined with the 100amp/hour deep cycle battery allows the Savannah Maxxi to be self-sufficient for longer. 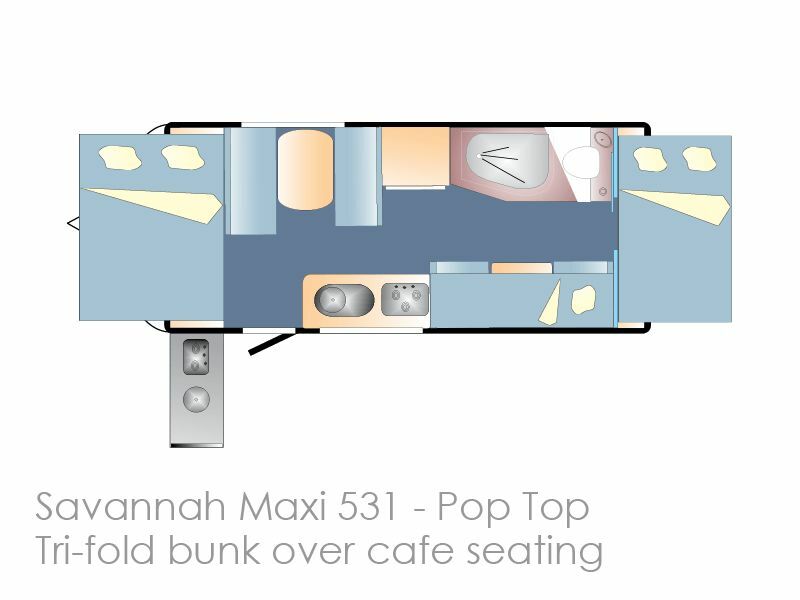 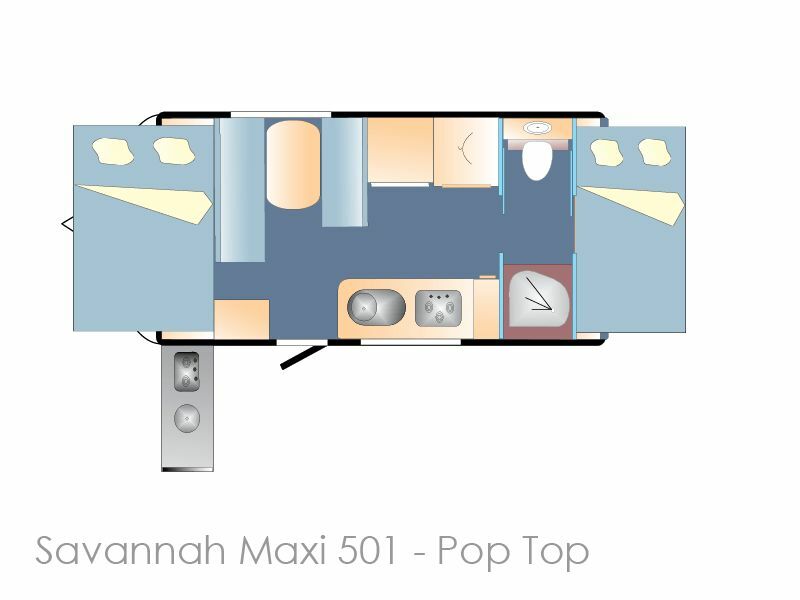 Enjoy our country with the perfect caravan for the job - the Savannah Maxxi. 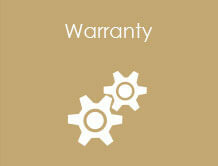 Burner cook top and griller with 3 x gas & 1 x electric burner.